My sister asked me the other day what I use for a wrinkle cream and if I could make any all natural recommendations to her. I had to laugh because it made me think back to when I was obsessed with wrinkle creams just a few years ago. Little laugh lines were starting to creep up around my eyes and like so many other women, I thought a cream would be the magic answer. Ugh, I don’t even want to know how much money I spent on these high promising and high dollar wrinkle creams over the years. But now I know better and I want to share my secrets (research!) with you. The only way to get healthy, glowing, wrinkle reduced skin is to rebuild and restore your skin’s lipid barrier. The crazy thing is that the majority of these high dollar wrinkle creams actually destroy your skins lipid barrier in the long run. In time, these creams that contain silicones, mineral oils, artificial preservatives and fragrances will irritate, dry out and destroy your skin! So how do you rebuild and restore your skins lipid barrier? The most important way to rebuild your skin is by restoring it from the inside out. And you do this by eating a clean, anti-inflammatory diet that is rich in healthy, saturated fats (animal fats, avocados, olive, coconut oils). I’ve heard this before, but truthfully, it’s always gone in one ear and out the other. But, I’ve been eating a very clean, anti-inflammatory diet (Paleo/Primal) for about 4 years and I am a living testimony that it’s 100% true. My skin actually glows, I have less laugh lines and smoother, more even, softer skin. I told my sister that my skin looks better now than it did 5 or even 10 years ago and I can thank a Paleo/Primal/Clean diet for that. The other way to rebuild your skin’s lipid barrier is from the outside in by giving your skin oils that actually feed and restore that hydro-lipid barrier. Argan Oil is my oil of choice to feed my skin what it needs to restore that lipid barrier. I, along with others, nicknamed Argan Oil “liquid gold” because of the profound effects I’ve seen on my skin. It’s such a rich concentration of vitamins and minerals and has powerful natural properties to heal skin ailments and protect against premature aging caused by oxidation. Triterpenoids are an active substance found in Argan oil that offer amazing skin protection like healing scars, providing anti-inflammatory benefits, sun protection and disinfection to keep pollutants, smoke, toxins, and microorganisms from entering the skin’s barrier. It’s also amazing for chicken pox, acne, psoriasis, eczema, and stretch marks during pregnancy. Argan oil also contains sterolins which improve skin metabolism, and promote moisture retention. Because Argan oil has extremely high levels of Vitamin E, it’s considered very effective for anti-aging. The antioxidants in Argan oil help neutralize free radical damage which is very important for skin exposed to such polluted and toxic environments nowadays. For the last 5 years, I’ve used coconut oil as my facial moisturizer and I’ve sung the praises about it here. I still use coconut oil for everything that I’ve always used it for, except now I use Argan oil exclusively as my facial moisturizer. So why the switch? 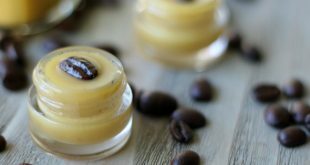 Why Argan oil over coconut oil as a facial moisturizer? Argan oil is more lightweight than coconut oil. Argan oil also absorbs into the skin almost immediately whereas coconut oil does not. Before I started using Argan oil, I usually only used coconut oil as a night moisturizer because it made my face so greasy. If I needed moisturizer in the morning, I would have to be careful to use only a very, very small amount of coconut oil or else I’d look very greasy. FYI – The grease face look is not a good look for going out in public. I don’t have to worry about this with Argan oil. It’s so lightweight and gets absorbed very quickly. It makes for a great daytime moisturizer. After using Argan oil exclusively on my face for about a month, I’ve noticed better results (smoother skin, more even, more moisturized, fewer fine lines) than I ever have with coconut oil. I’m not sure why this is, but hey, I’ll take it. Argan oil is the rarest and most expensive oil in the world. The reason it’s so expensive is that it’s literally extracted by hand. It takes one woman 3 days to produce 1 liter of oil! But, a little goes a long way with Argan oil. Only a few drops are necessary to reap the benefits so a small 4 ounce bottle should last you over 6 months. I’ve been using Argan oil for my hair that I’m excited about so I thought I’d share. It makes a great frizz tamer. I have crazy, Lion King hair in the hot, humid summer months. The only beauty product that I haven’t gone all natural with was a frizz tamer/hair smoother because I never found anything that’s all natural that works without making my hair an oiled mess. But, I’m happy to say I’ve ditched my previous frizz tamer and now use a small bit of Argan oil on my dry hair. It works great and doesn’t leave my hair oily. It also adds incredible moisture and shine and is a great split end mender. I love it! If you’re interested in trying out Argan oil for your face or hair, I want to give you some tips to make sure you’re getting the pure, good stuff. You want to look for 100% cold pressed, organic, virgin Argan oil. Avoid labels that just say “contains Moroccan oil” and don’t mention 100% Argan/Moroccan oil. Companies often use a very small amount of Argan/Moroccan oil in their product and then label it as Moroccan oil even though it’s filled with silicones, preservatives, dyes and actually only contain a very, very small amount of Argan oil. So the key is looking for 100% Argan/Moroccan oil. Argan oil should be the first and only ingredient on the list. Great post. This is a funny coincidence because I just read through “Beauty gone Wild” and “Hair gone Wild” by Kidman and have just started her simple recipes for face and hair. Love the results on the hair so far. But have not dared switch out my moisturizers yet. (She has a recipe for a cream made out of olive oil and beeswax plus some essential oils of your choice but you need a dedicated blender for that.) Will try out Argan oil. I have very sensitive skin (redhead) plus combination skin. That makes it very difficult to find a cream that works well. LOVE Argan Oil, I just started using Nourish Organic’s argan oil. It’s super cheap and completely organic. “Avoid labels that say Moroccan Oil?” Then you give links to Moroccan oil? This makes no sense. Hi Rachel! Sorry for the confusion. I should have said “avoid labels that only say Moroccan oil.” The label should say organic, cold pressed, 100% Argan oil. The links I provided are for 100% pure, organic, cold pressed Argan oil (which is made in Morocco). But I’ve found a lot of other brands market their product as Moroccan oil, but really aren’t 100% pure Argan oil. Most of the time those one’s will have silicones and dyes and maybe only have a tiny bit of Argan oil (but since there’s a little bit of Argan oil they can legally call it Moroccan oil). I just wanted you all to be aware of that and to look at the labels and make sure only Argan oil is listed. Thanks for the correction. I’ve been using the one you linked to for Moroccan Gold for two years and love it. After I put it on my face, I vary between applying Vintage Traditions tallow http://www.vintagetradition.com/ and Blue Ice Beauty Balm http://www.amazon.com/Blue-Ice-Beauty-Balm/dp/B006H2DH8W. I’m 71 and my skin is still smooth and people think I’m kidding when they find out my age. I have discovered that love all things argan oil. My husband gave me some direct from Morocco, where he is from originally, and said “here try this on your skin, women back home swear by it.” Well, the amount he would share with me since he also loves to eat it too. I’m in my early 40s and suffer from acne while my skin is also starting to age a bit. Argan oil has really been my lifesaver since he gave it to me. 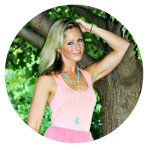 Have you ever heard of Acure Organics? They have a lot of products with Argan oil in it, as well as pure argan oil. I like that they donate money to charity too and are fair trade. Great to know! Thank you so much!! Primally Inspired, which company/product for Argan Oil do you use? Also, thanks for all the great information! Benefits of argan oil cannot be counted. Just start using it and you can see all of them. I just started with natural organic Moroccan skin care. The cleansers, masks and the Argan oil together beat anything I have paid a fortune for in the past. There is an immediate difference in skin response. 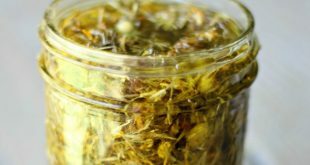 It does not hurt to know how long these natural remedies have been used. Even better, the current popularity has resulted in a good endeavor for many oppressed women. Something is quite all right with these products. Just make sure you are getting the real deal! 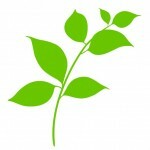 Have you heard about Rosehip oil? Rosehip oil is the best skincare for anti aging than Argan oil. Is that true ? Let me know thank you for your advise. May I add to this that even the 100% cold pressed, organic Argan oil is mostly mixed with water apparently. I live in the Netherlands and have been using Argan Oil for about a year now. Only last week I walked into a little store selling Argan Oil for about 75/100ml (where my bottle of 100 ml cost me 20 euro). I was shocked by the pricing and asked for an explanation. The lady managing the store was Moroccan herself and she explained the extensive research she had done on the oil. They checked and tested almost all Argain Oils available on the Dutch market and found out most contain added water, since it seems to be easier to press the nuts that way, since they are rock hard. They wanted to find a corporation in Morocco who didn’t use this process of pressing, because she wanted to deliver the true 100% version. None of the corporations they approached, she said, were able to guarantee this. So it took a while to get all permits etc, but they finally founded their own little corporation, producing Argan Oil the very original way as Kelly described in her post above. So talking about expensive… It makes total sense to me now. Thank you so much for your wisdom, Hella! That is fascinating! Your story is interesting to hear. I am from Morocco but I live in USA. I import argan oil from the only region where argan trees grow and where my family lives and produces the oil. We used to extract argan oil in the old fashion way which involves water to separate the paste from the oil by squeezing the paste. This is not the only labor intensive step before getting to this point. this method involving water is not the best way mainly because it shortens the shelf life of the oil. Nowadays, we use mechanical extraction which produces a 100% pure Argan oil. One thing I always say to my customers, whether they buy argan oil from me or from somebody else is to ask when was produced and at what temperature to be stored. Josie Maran’s for example doesn’t tell you those things. One of my customers used to buy few bottles of argan oil from QVC when they have them on sale and they last 3 or 4 years she said. Here is the problem, the shelf life of Argan oil is between 20 to 24 months). It’s only during this period that you would benefit from all the argan nutrients. So the key here for producers to produce small/enough quantity and for the consumers to look for small companies which knows the product very well. absolutely adore argon oil!! I just did a blog post on it too and discovered your post on it too!! Argon oil is like a miracle worker. I use the pro naturals argan oil for the hair and it is fantastic! I will check it out – thanks, Mel!! Love this article! I have been using coconut oil with added vitamin E oil as my nightly moisturizer, but I think I will make the switch. I was hoping you could tell me if you use a sunscreen along with the Argan oil in the morning. I live in So Cal and wear a daily sunscreen year round, but I have yet to find one that is not full of ingredients I don’t want on my face. Hi Taryn! I usually do not wear sunscreen unless I know I’m going to be out in the sun all day long (I live in Pennsylvania). But for this, I use raspberry seed oil (http://amzn.to/17vQomz). Raspberry seed oil is said to have an spf around 28-50 and in my personal experiences with it, I can attest that is true. Other oils with higher spf’s are carrot seed oil (http://amzn.to/16EVL2g) which is also an amazing anti-aging oil as well! It’s been said to have an spf of 38-40. Avocado oil has around spf 4-15, too. Hope that helps! I have been using argan oil by jose maran and as my skin is dry + dehydrated + super sensitive + sometimes i do get eczema on my face & earlopes…i have been loving the argan oil. It depends on your skin condition for the day – sometimes it is just argan oil, sometimes i mixed it with my moisturiser if i need extra hydration. around my jaw line & mouth are for example are very dry and dehyrated, so i put on a little more moisturiser on top of my argan oil. my question to you is,.,have u tried jose maran argan oil or heard of users response abt the product. i am afraid to try other brands for fearing that they might not be pure & organic enough. I’m 37 years old and I have some laugh lines around my eyes and a couple of deep creases on my forehead due to foolish sun exposure in my younger years. I didn’t have high expectations for the Somaluxe brand (by Lady Soma). It was recommended by my sister who has AMAZING skin. However, after only 3 weeks of using the Somaluxe moisturizer everyday, I have noticed a big difference around my eyes. While the lines are not completely gone, they are much softer and less noticeable. I do have very sensitive skin and during the first week of use, I did experience some tingling by my eyes, but it stopped after the first week. 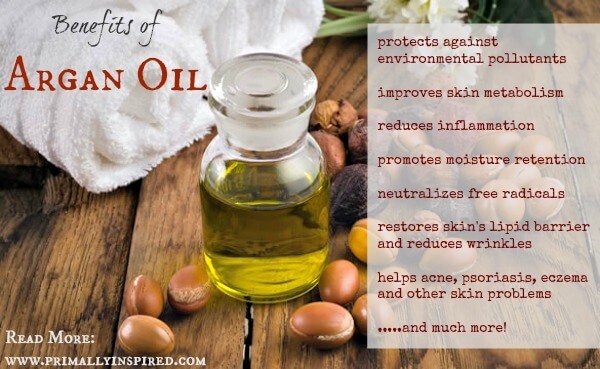 Thank you for this information on argan oil! I have to try it. I’m just curious, but what do you use as a face cleanser? I’m thinking of doing the Oil Cleansing Method along with the argan oil as my moisturizer, but am afraid I’m using too much oil on my face. I’m using Cerave right now but I’m concerned about the parabens in it. I have sensitive, somewhat dry/combination skin and allergic to Phenoxyethanol, which is a chemical just as bad as parabens. Unfortunately, the beauty industry has replaced parabens with this ingredient. And it is so hard to find natural skin care products without this ingredient. Please help. I’m so confused. Thank you. Hi Ana! The oil cleansing method is great! I just use coconut oil as my facial cleaner. 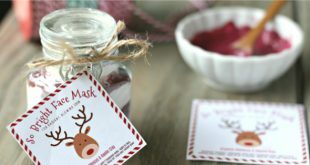 I’ve been doing that for years and to me, it’s the best facial cleanser I’ve found 🙂 I also swear by this weekly deep pore cleaning mask >> http://www.primallyinspired.com/deep-pore-cleansing-mask-recipe/ It’s amazing for ALL skin types and will help balance the ph of your skin so it’s at that perfect place of not too dry and not too oily. As with any new skincare regimen, give yourself 2-3 weeks for your skin to adjust/detox before you decide if you want to continue on with it. This is especially important if you try the oil cleansing method for the first time since some people break out the first week or so as their skin is adjusting. After the adjustment period, most people say their skin has never looked better 🙂 Keep me posted! Wow! Thank you very much for responding, and for your help! I will definitely try it, and keep you posted. Have a happy, healthy and blessed new year! Hi I wanted to know what oil I could add to this to stretch it? If u have any recommendations I would appreciate it, I am trying to share a bottles itch my mother. That’s a great idea, Melissa! I have been having a lot of skin success with avocado oil lately. 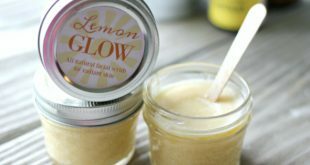 I use it for my miracle salve (recipe HERE) and my skin loves it. Avocado oil is great for skin health. I get a huge bottle from Costco for less than $10! I think I would use that. Other oils that are great for the skin are jojoba and rosehip oil. Hope that helps! Please tell what must i mix with argan oil have dry ski . .how to use on dry Skin.during the day .its very hot in my country. Hi Sue! You can just use it as is! That’s what I do. You can also add in 1 drop of geranium essential oil per teaspoon of Argan oil to help combat dry skin. Great blog everyone. Can Argon oil be used as a carrier oil? great article. thank you for sharing! really great article right here. very informative! Thank you a bunch for helping spread the word about Argan oil. It’s a true miracle, my hair is so shiny and healthy!